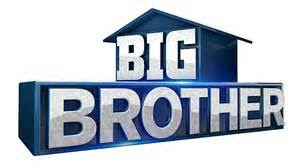 Hello and Welcome to another season of Big Brother recaps and insights. This season they are doing twists GALORE. I am not a fan of so many twists, I think it takes away from the game play. So far, they have brought Battle of the Block from last season and the Twins Twist from season 5. I wonder which other twists they will bring back. Sometimes I think these twists are too much and only take away from my favorite part of the game-the planning and scheming. I joined a pool with 3 other people and we had a draft to see which BB players would be on our teams. My team consists of Vanessa, DaVonne Steve and Jace. I went ecclectic. Lynn has the 2 Amazing Race goobers and Jason and Meg. Marc has Audrey, Liz, John, James he went with whom he thought was undraftable or would be total disasters in the house. Jeff has Austin, Becky Shelli and Clay. The goal is of course to have two of your team in the final two so mo matter who wins it is your team. So far in all of my years of the draft, no one has had the final two and there have even been seasons with such a terrible cast that we all quit and no one cared who was on which team. I am not so sure about my team. I picked Jace because at the time I was able to draft he was the last alpha-ish male left and you need at least one of those on your team. I like Da'vonne, Vanessa, Meg and Steve a lot. Do I think they can win? I doubt it but I think they will make for a fun summer to watch. The show began in traditional fashion with some members going in first and others going in later. The first group in was Audrey who announced she is the first transgender person cast, Clay, Shelli, James, Jace, Davonne, and Austin. The house guests all ran into the house screaming like banshees as always. Really? Try something new once in a while. They introduced themselves, toasted to a good summer and then Julie came on the television to tell them about their summer and the Battle of the Block twist. Next came the HoH comp. They had one house guest stay out of the comp. Davonne volunteered as long as they promised that they would not put her up.This time the guests were standing on a platform that shook and leaned forward and got shorter. They had to stand on the moving platform while having nerf tomatoes shot at them. Whomever caught the most tomatoes without falling won. James was the winner with Jace as a close second. They also had one house guest stay out of the comp. Davonne volunteered as long as they promised that they would not put her up. The second group to go in was Becky, Vanessa, Liz, Meg, Jason, John, and Steve. They went in and almost immediately they had the HOH. Again, as with the night before they had someone sit out and Vanessa sat out with the same promise of no nomination that Davonne had. Interesting side note here: Davonne is a poker dealer and Vanessa is a professional poker player-interesting. Then Phil from the Amazing race comes on and announces that an Amazing Race couple will be joining the cast-enter Jeff and Jackie. The comp was the guests on a pole and they had a harness trying to pull them up and back off of the pole. Good to his word, Jason who said he would hold on forever was the last pulled off of the pole and won the second HOH. OF COURSE this all took place last week and we know who the noms are and who won the Battle of the Block and also who won the veto. The Nominees were Jackie and Steve put up by James and Becky and John by Jason. Battle of the Block was won by Becky and John. Vanessa and Da'Vonne were given the reward by Phil of not being able to be nominated and they were each able to bring another on their reward. Da'Vonne took Liz and Vanessa took Austin. One just needs to read Joker's Updates or some other site or get the Live Feeds for more current info. There will not be a lot of feeds recap as many folks do not read or watch events between episodes. I have to say from what I have seen there has been a lot of game play early and I am surprised by it. At least I do not think we will have a season of "what the house wants" THANK GOD! I am already tired of the Austin and Jace bromance. UGG Dude, enough with the bro-code already. I can only imagine how annoying this is to the people in the house. More to come on Wednesday when the new episode airs. Who are your favorites and who do you think will win?